The heat and humidity of summer can be daunting. You are outdoors and susceptible to dehydration, heat exhaustion/illness, and heat stroke. Especially on days when you play two rounds, learning how to manage the heat can be the difference between scoring well and tanking, if you’re able to finish at all. The Center for Disease Control (CDC) has good information on its website related to managing heat. I have combined that research with my own experience to give you these suggestions to manage heat. Earn your PHT – Prepare, Hydrate, and Trust. At least three days before your competitive event, begin the process of prepping your body. If you are playing a warm-up event on Friday before the actual two-day event on Saturday and Sunday, that means begin on Tuesday. Acclimate by getting outside in similar weather if that’s not a regular part of your day. Adjust your diet and fluid intake – cut out fast food and eat lean meats, healthy starches, and a strong dose of bright-colored fruits and vegetables. But feel free to load up. And especially begin drinking water – plain water. A good rule of thumb leading up to the tourney is that for every drink you take leading up to your tourney, drink an equivalent amount of pure water. And consider adding supplements (like potassium or magnesium) to enhance water retention the day before and the day of the events. Check weather and air quality reports, and know your own personal health history. Know how your body responds in the expected conditions and adjust additional preparations accordingly. Sunscreen, regardless of your skin-pigment color, is a must. On a hot day you should wear lighter fabrics, preferably of a moisture-wicking material and white or light colors. Have additional full sets of clothing to change into between rounds and then after a second round. 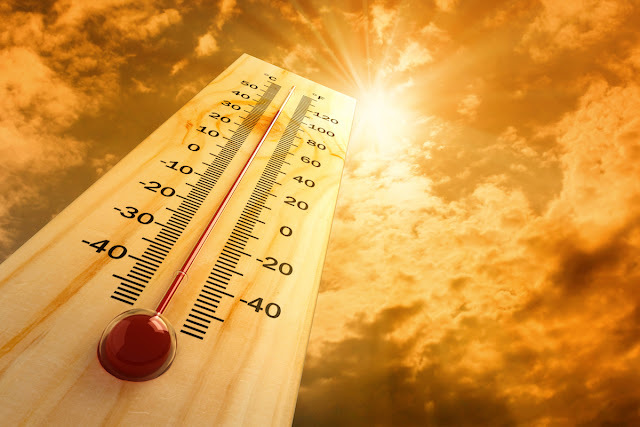 Outside of sunburn, most heat-related issues are caused by the loss of body fluids and salts/sugars through perspiration. So having plenty of water in your bag to drink is a must. I recommend a full 32-oz bottle that can be refilled if you know there is plenty of water on the course. If not, find a way to carry 96 oz during the round. Obviously, you should take a drink anytime you feel thirsty. Get sufficiently hydrated before the round. Personally during the round I take a couple swallows of water after my drive on each hole – whether I feel thirst or not. This is to be sure you get enough hydration. I do not recommend sports drinks during the round; it is better to drink water during the round, and replenish your electrolytes with sports drinks AFTER the round or BETWEEN rounds. I also try not to drink ice cold water too fast as that can cause other problems. Water that is close to room temp (not outside temp) can be taken at a normal pace. There are several things you need to trust; remember that simply standing in the sun on a hot day, even if you weren’t playing disc golf, is still zapping your body’s energy. Don’t be macho; there’s nothing “wimpy” about not carrying your bag on your shoulders. Use a rolling cart if the course is conducive; or even better, get a caddy. It saves energy. Umbrellas were originally created for shade not rain, so use one. You’d be very surprised how much better you will feel at the end of a hot day having shaded yourself with an umbrella all day. Buddy up with someone in your group and have him/her watch you for signs during the round. Tell them your key health issues or “look fors” and have them keep an eye on you. Monitor yourself. The best way to check your hydration is through urine color. (Sorry) If you haven’t pee’d at some time during the 18-hole round or right after, you ought to be concerned. You know you’re hydrated enough if your color is closer to clear or light yellow. Bright yellow color means you need to get water immediately. And if your urine has become dark yellow to a honey- or tea-color, you might need medical intervention right away. A moist towel dipped in cold water and wrapped around the back of your neck can assist in keeping your body temperature from getting too high. Your body will give you warnings. Muscle cramps or spasms seemingly for no reason, throbbing headaches, confusion or nausea, overly heavy sweat, feeling weak, or accumulation of small blisters are all symptoms of a heat-related illness. Earning your PHT will help you solve the issues of heat. If I were to choose the most important of these, it would be prepping your body beginning three days ahead of time, using the umbrella, and drinking water constantly throughout the day. Do that and don’t let the heat control you! Great article A Ray. Something I recently realized is if you are prone to getting dehydrated or heat stroke that high blood pressure medications can contribute to that as well, so even more important to be prepared for some of us with that also.